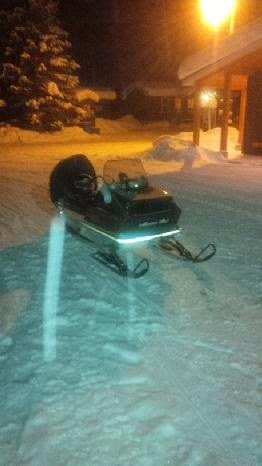 Talk about a Die Hard Snowmobiler this 1971 Arctic Cat arrived at Edgewater Park Lodge doing the R.A.P. (Round Algonquin Park) tour. The last 45 miles of it with a flash light to light the trail ahead.